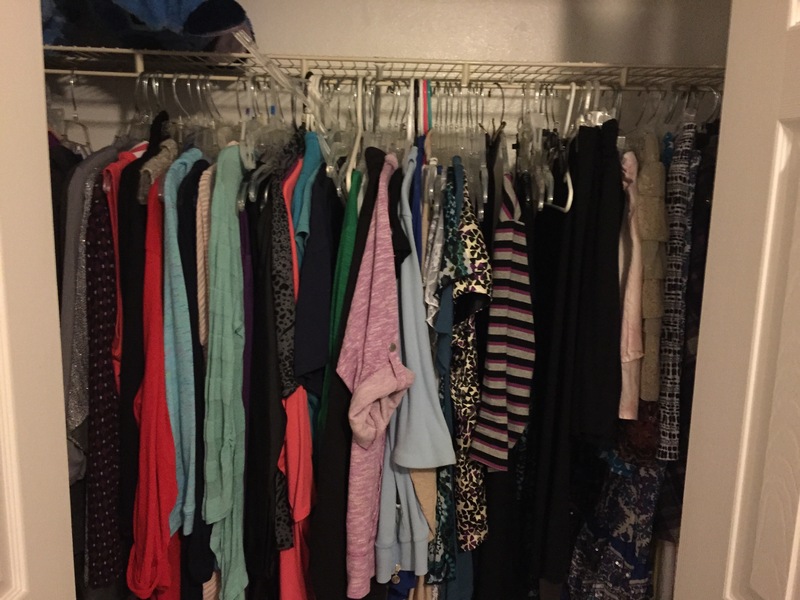 This is the second part to this post, where I cleaned out my main closet. 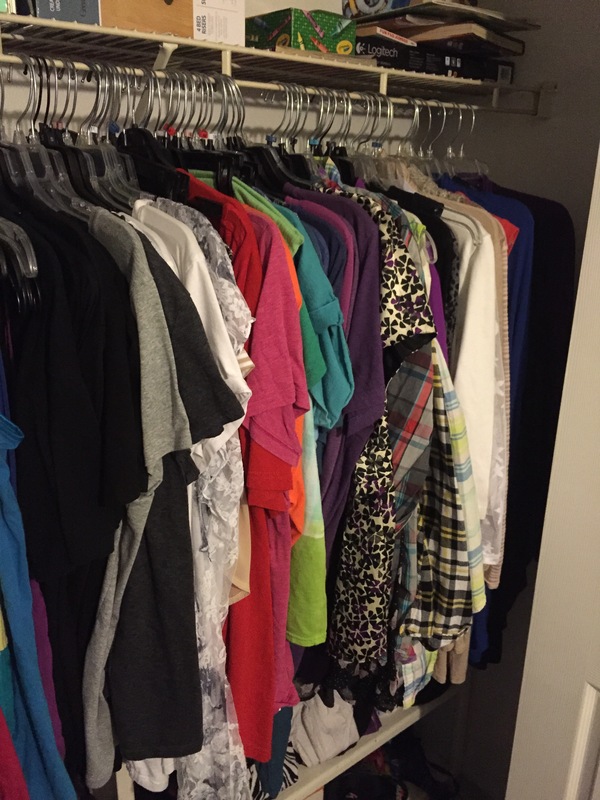 This post is all about me cleaning out my second closet. I went to see Lady Gaga and Tony Bennett in concert recently, and I tried on every fancy dress I owned to figure out what to wear to the concert. 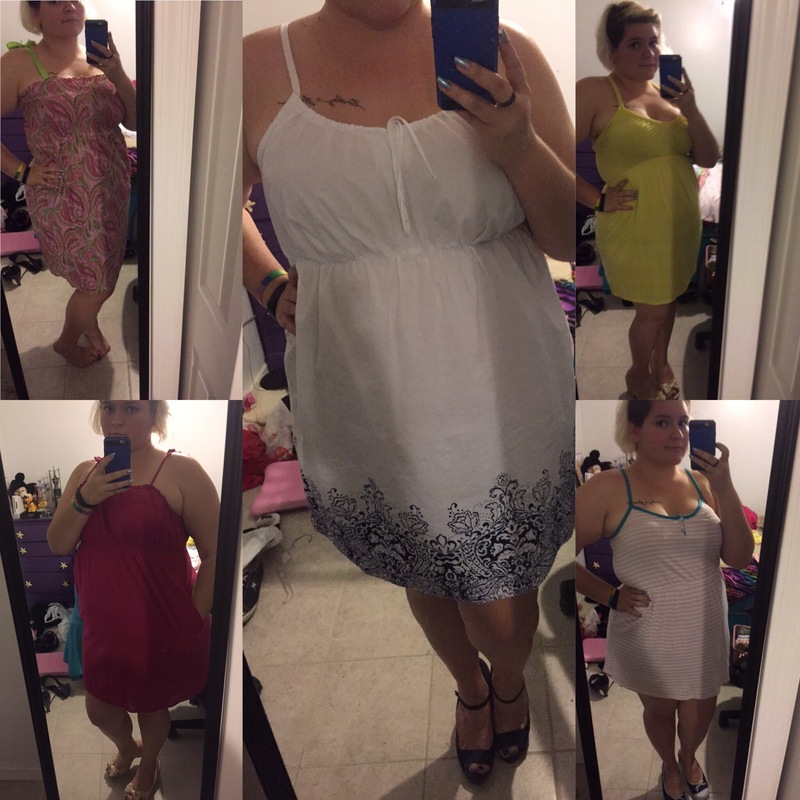 A couple weeks before that I tried on all my sun dresses for fun. When I went through my dresses I got rid of a few, but there’s something about trying to simplify your life and get rid of what isn’t needed that helps you come to a moment of clarity and get rid of even more. For instance both the yellow and paisley dresses didn’t make the cut this time. Along with that were a couple fancy dresses I know I’ll never wear again, and a few pieces of professional wear that didn’t make me feel professional. I’m always surprised with how much actually gets cut out of the closet when I clean it. This was just the last bit of clothes that didn’t make it. I’d already packed two bags before this. It also surprises me because I’ll see an item coming up and I get filled with relief, “I’m finally getting rid of that” if I feel this way about some of my clothes, why didn’t I just get rid of them in the first place? Then there are other things, like that Glee shirt. This was one of those items that went lost in my closet for a while. It’s finally resurfaced, but even though I like how it looks on me, I don’t see myself reaching for it over something else. I don’t see how I could include it in a capsule, and I don’t have any PJ bottoms that match it to keep it for sleepwear. It just doesn’t belong in my closet anymore. I’m surprised at how much it affected me. 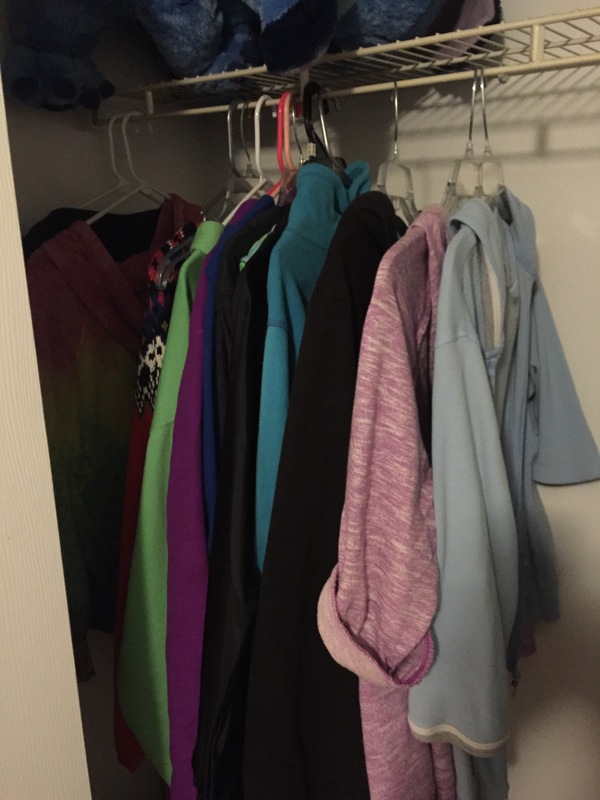 I added what I could into my main closet. I could honestly fit my whole closet in here again, which is why I originally did it, but now I don’t feel like moving more, when I’m about to pack it up to move it anyway. 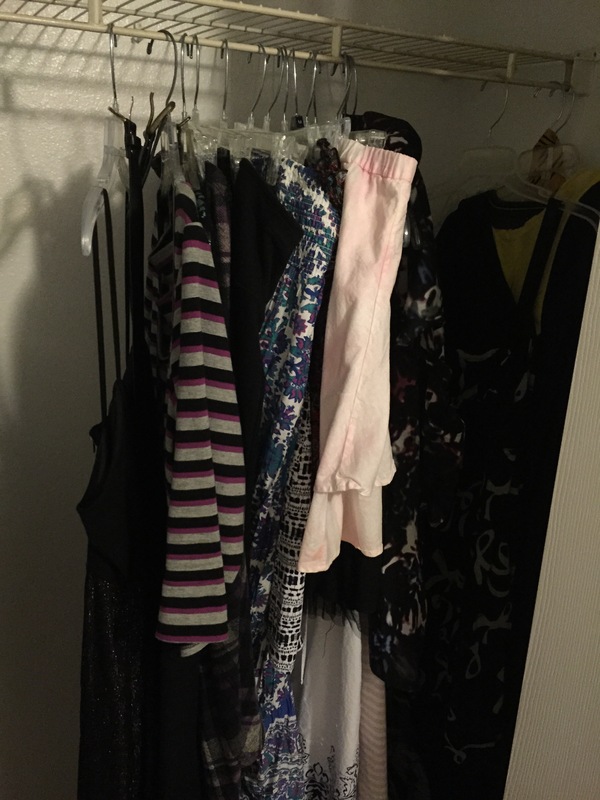 Just a few skirts and dresses left out of a hopeless amount before, and right now I have way too many jackets. But again, I’m happy with how much I’m getting rid of. I can’t wait to actually get it out of the house and not have to look at the bags of clothes. Friday is my last day at work, and I know I’ll spend the whole day in front of the computer pricing all the stuff I’m bringing in. Next > I’m a finisher.